Google attended the annual Game Developers Conference (GDC) on the 19th of March, and gave us the first glimpse into Stadia. The company’s venture into the gaming space. But the question remains, is Google really prepared to disrupt a billion-dollar gaming market, or will they join the ranks of the Atari Jaguar, SEGA Dreamcast, or more recently, the OUYA? The unveiling of Google Stadia provided us with a buffet of promises. If Google can deliver, this could be a game-changer for the industry, especially if gamers with ANY hardware can seamlessly play the latest $60 AAA titles seamlessly from their Google Chrome web browsers. Experiencing a game in silky smooth 60 FPS at resolutions of 1080p or 4K with 8K and increased FPS also in the pipeline. Allowing people to skip the lengthy download and install times that is now a norm in the industry. All of this will save people the hassle of building PC’s that cost thousands of dollars or buying consoles that cost hundreds of dollars. But Google still has a lot of us curious on A LOT of stuff. Will this be the Netflix/Spotify of gaming? Sundar Pichai – CEO of Google, talked about how content can be instantly accessed with no need to download or update any game. However, Google didn’t address how one would access Assassins Creed: Odyssey straight from their browser. Paying for Netflix and Spotify every month is one thing, but how does Google plan on monetizing and distributing games? They can’t repeat October 2018’s successful Project Stream test with Assassins Creed: Odyssey and let every internet user play the latest $60 AAA for free since it would significantly impact publishers’ and developers’ earnings. So, will Stadia follow a model similar to that of EA Access or Xbox Game Pass where players pay a monthly fee and are offered a series of select games to play? Google needs to clarify this. If they allow Internet users to play the latest $60 AAA title like Doom: Eternal from their Chrome browser, it is definitely going to cost a pretty penny every month. We need to know how much it will cost per month or per year. Will Google distribute the games through a digital store and if so, what are the details on that? Project Stream needed 25 megabits connections to run Assassins Creed: Odyssey in 2018. We need to know the speed requirements per device for Stadia. For example, if I start playing Doom: Eternal in the morning before leaving for work (60 megabit internet), can I play the game on my 4G connection on the commute to work from my phone with the same minimal input lag? What speed must my 4G connection be? Additionally, will there be an option to downscale the resolution to boost input lag? 1080p is already generous enough, but making 720p an option for people who have lower end connections would be ideal. We need to know the exact system and speed requirements, as well as data consumed per session. A lot of European, UK, US and Canadian ISP’s still run on capped internet with monthly download limits. How much would an hour of Doom: Eternal set me back on that data cap? Games for the console? Exclusive versus Third-Party? It would be a delight to play Tomb Raider and Doom: Eternal through Stadia, but any gamer will tell you that a true console selling point is in its exclusives. The God of War series on the PlayStation consoles, Halo on the Xbox consoles, and Mario games on Nintendo’s consoles are what put them on the gaming map. Will Stadia have developers make exclusive first-party games for the online platform? 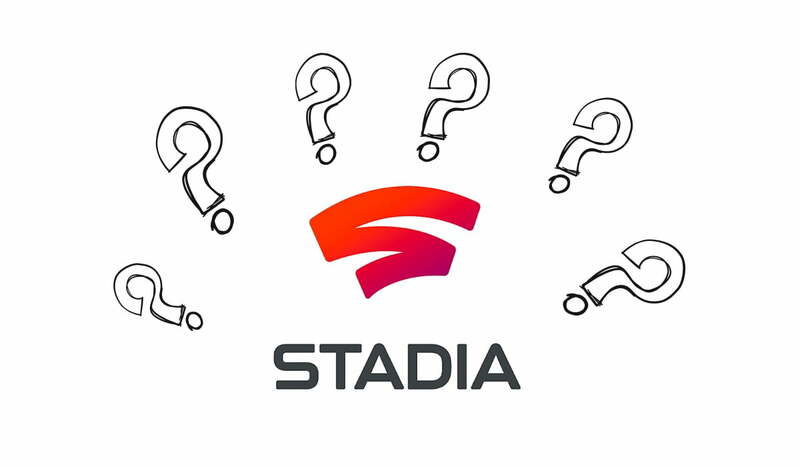 While the entire concept of Stadia is revolutionary in itself, any gaming system or platform is only as good as its exclusives. A comprehensive chart from VGChartz shows just how much exclusives can influence console sales. Spider-Man on PS4 sold 9 million copies in 4 months. That means 9 million people with the console bought the game and supported the system and the game simultaneously. Super Smash Bros: Ultimate on the Nintendo Switch just achieved $12 million in sales in January 2019. These are some impressive numbers for a game released in early December of 2018. 12 million copies in 2 months is a major achievement for any company. The only feather in the cap of Xbox One is Halo 5: Guardians, which brought in $5 million over 3 months. It’s no secret that Microsoft has a hard time keeping up with the Nintendo Switch and PS4 in the console race. This is most evident when one compares the sales of the PS4 sold in 2018 against the Nintendo Switch and the Xbox One. The PlayStation 4 has had many critical and commercially successful games like Horizon: Zero Dawn, Spider-Man, and God of War, selling millions of copies in weeks. Nintendo had the same success with their exclusive games like Super Smash Bros: Ultimate and Super Mario Odyssey. Unfortunately, the Xbox One has not had similar luck with their exclusives. Games like Crackdown 3 and Quantum Break failed both critically and commercially. Will Stadia just be a place to explore third-party content? Or will they make their own original content like Netflix? Netflix’s original programming like Stranger Things, Bojack Horseman, Daredevil, Jessica Jones, The Punisher, and Black Mirror: Bandersnatch MAKE people subscribe to Netflix. What hook will Stadia offer consumers to attract them to their platform? Stadia did promise exclusives, but will they follow the path of Nintendo and Sony, or the path of Microsoft? Multiplayer – Paid or Free? We briefly touched upon a multiplayer aspect in the stage demo. Where YouTube spectators could jump in a game of NBA 2K seamlessly. PC – You don’t need any subscription to access Steam, Origin, Uplay, etc. PS4 – PS+ ($59.99 per year) is needed for paid multiplayer games such as Rainbow Six: Siege, Call of Duty, etc. Free games (such as Apex Legends and Fortnite) need PS+. Xbox One – Xbox Live Gold ($59.99 per year) is a blanket for paid multiplayer and free-to-play games such as Rainbow Six: Siege, Call of Duty, Apex Legends, Fortnite etc. Nintendo Switch – Nintendo Switch Online ($19.99 per year) is needed for paid multiplayer games like Mario Kart 8 Deluxe, and Splatoon 2. Free games (Fortnite, Warframe, etc.) don’t need Nintendo Switch Online. There are exceptions, however, with Tetris 99 being a free game but needing Nintendo Switch Online for playing multiplayer. With this in mind, will multiplayer gaming on Stadia require a subscription or will it be bundled into the price? YouTube integration – Is there any way to opt out? I have had a YouTube account for over 12 years now, and while I have thought about becoming a YouTuber, I lack the editing and hardware expertise to do so. This generation of consoles had a good focus on streaming and sharing content. The Xbox One is capable of going live to Twitch, Mixer, and YouTube Live in a few minutes, and the PS4 can stream on Twitch in minutes as well. However, I don’t like the aspect of joining games from YouTube – until it is properly explained. If I look to join Doom: Eternal straight from a call to action prompt, how do I know my activity will be private? Will other users be able to see my stream? Will I have the option to make my stream private, close off chat, etc.? I really don’t want my YouTube account broadcasting what I am playing and when. YouTube is like Twitch, your privacy can be breached if someone decides to drop into your stream. The more I can disconnect YouTube from the experience and have my own private space to enjoy games, the happier I’ll be. Will I be able to keep my Stadia out of YouTube and vice versa? As excited as we are to see this latest gaming development, we need to keep in mind that it’s coming from Google. With Microsoft, Sony, and Nintendo, your data is secured. You won’t get targeted ads or have your browser history scraped. But we need to know how much of our Google data plays a role in influencing Stadia. If I search for Call of Duty 2019 in Google, will Google push me more ads for pre-ordering the game on their platform? We need to see how much of Google is in Stadia. If I have to worry about my game activity affecting my search results, or ads presented to me, Stadia is something I might have to pass on. I only get newsletters and emails from Nintendo and Sony because I like their products and voluntarily opt into them. If I have to see mystery emails or promotions on my Android phone based on my Stadia activity, it will be one more place for Google to see my online activity. Will Google influence my search history on Stadia and vice versa? The demo clips of Stadia in action are indeed impressive. Yes, the October test was massively successful. However, keep in mind that selling a spectacular product at big shows is always full of hype. Remember Ubisoft’s demo of a spectacular product at E3 and the finished product being much more rough around the edges? This isn’t just the case for Ubisoft. Sony, Microsoft, and other studios use the same tactic as well. 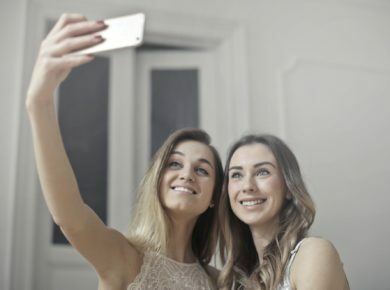 The quality we are seeing right now might strongly vary in the final product when millions of users also get on at the same time. Have a look at some Doom: Eternal gameplay below, at GDC 2019. With the above demo, will we see cutbacks on the quality once network saturation takes place? Is Google equipped to accommodate millions of users at once? Keep in mind, there are few users currently occupying Stadia. Let’s remember when EA and Blizzard tried to go the full online route with SimCity and Diablo 3 respectively. Both games had a very strong reliance on online connectivity, with Diablo 3 being the most rigorous of the two. On their launch, millions of players were unable to properly enjoy the game they had waited almost a decade for, and the same happened with 2013’s SimCity. Blizzard and EA are two of the gaming worlds OLDEST companies, making games for over 30 years now. They were ill-equipped for this and they paid the price for this oversight. While recent online-only games have had better luck, with Ubisoft’s The Division 2 being the most recent example, Google would do best to learn from history or it will be doomed to repeat it. Before Stadia rolls out globally, Google will need to perform a massive stress test to properly gauge the capabilities of the new project. Can Google effectively keep the promise of high-fidelity graphics at high resolutions and low input lag when the network gets saturated by users on launch? These are some of the questions we hope Google answers when they return in the summer. As a gamer, I am very optimistic about Google entering the highly competitive gaming industry. Only time will tell if Stadia is poised to be the next big thing or if will it join its fallen brethren in killedbygoogle alongside Project Ara and Google Glass.